If you want to become a coach, trainer or referee or need to update click on the links below or visit the the PlayNRL.com website and follow the links to the course of your requirements. 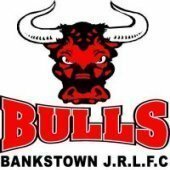 All team officials must be compliant before they can fulfill their duties at the Bankstown Bulls JRLFC Inc. Please complete the necessary courses and accreditations in advance. The National Rugby League has implemented a blended delivery of all entry-level coaching courses. Blended delivery refers to utilising different delivery methods in completing the required course modules/components. We have specifically developed an online component to help ease the time pressure placed on volunteers by limiting the face-to-face contact hours they have previously committed when completing a coaching course. Upon completion of the first two components, the candidate will qualify as a ‘Coach in Training’ which enables them to coach the relevant age group for a period of 18 months. The candidate can be assessed by an approved mentor or qualified NRL Assessor. Click here to register to become a coach and select the options that suit your requirements and locations. The link includes higher level coaching courses, manuals and coaching drills. What is the Rugby League National Coaching Accreditation Scheme? The National Coaching Accreditation Scheme is endorsed by the Australian Sports Commission and aims to ensure that all Rugby League coaches receive both essential and beneficial educational opportunities. Why do I need an accreditation to coach a Rugby League team? Coaching Accreditation is compulsory for all Rugby League coaches in Australia, regardless of what age or level you are coaching at. It is essential that new coaches gain a basic understanding of how to coach, different stages of learning and development, safety considerations, as well as the core skills, tactics and laws of the game prior to taking on the role of a coach. Who needs a Coaching Accreditation? 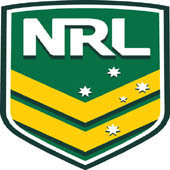 Regardless of what age or level you intend on coaching, you will be required to gain a Coaching Accreditation as per National Rugby League (NRL) policy. How long does my accreditation last for? Your Accreditation has an expiry date – of four years from its date of issue. At that time, you must update your accreditation in order to continue coaching. Of course, if you should upgrade your accreditation to a higher level at any time during those four years, then the expiry date re-commences from the date of issue of the updated accreditation. The expiry date is clearly shown on the accreditation certificate issued to all coaches upon accreditation. The NRL offers a range of trainer courses designed to educate trainers at all levels of the game. Click on a course below to learn what is involved. All teams under 13 & above require at least one(1) Level 1 Sports Trainer and all games from under 5 to under 12 require at least one(1) Level 1 Sports Trainer to be the Ground First Aid. If you hold any current qualifications that related to First Aid or Sports Training, you may be able to gain some recognition of prior learning (RPL) towards a NRL Sports Trainer qualification or full equivalency. 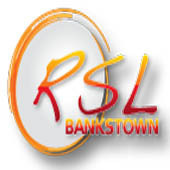 To apply for RPL please click here. Learn how to apply the correct safety procedures during your involvement as an on-field trainer or on-field “attendant” of the game. There are many ‘attendants’ who assist in some way by “entering the field of play” to administer water, relay messages etc. Leagesafe accreditation is the minimum requirement to enter the field of play as set down by the Australian Rugby League On Field Policy. This online awareness course is designed to create a healthy, safe environment, and is meant to advise and prepare on-field personnel other than Accredited First Aid Officers of what to look for in an injured/ill player, what to do and what not to do until a qualified person arrives, and general safety and care procedures for players. Please note, after registration of your details & payment. 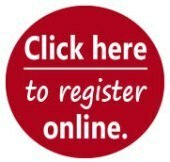 You will receive an email with all login information to your account at www.etrainu.com where your online course is hosted. The minimum age to register to a Leaguesafe course is 14. Just click on the button below to complete the leaguesafe course. The Level 1 Referee course will teach you the fundamentals of the Referee’s involvement in the game. The Course comprises of ten units of online learning and some face-to-face* learning. Once you have completed the online and face-to-face sessions, you will have gained the skills and knowledge needed to be a fair and effective referee. *On completion of ALL ten units, a short face-to-face assessment is required to test skills learnt in the 10 theory modules. Minimum age is 13 years. Please note that all district, club or match officials over the age of 18 must have completed the Working With Children Check (WWCC) and been successfully CLEARED. It's now a compulsory requirement by law put in place by the NSW Government and endorsed by the NRL and the Bulldogs Rugby League Club. The process can take up to four weeks so it's best advised to get your clearance NOW. No registrations can be completed until the member is CLEARED.